HOW MANY CHRISTMAS SCHOOL DINNERS! Today our SUPERB kitchen staff, lead by Tanya our senior chef, made and served over 500 Christmas Dinners! 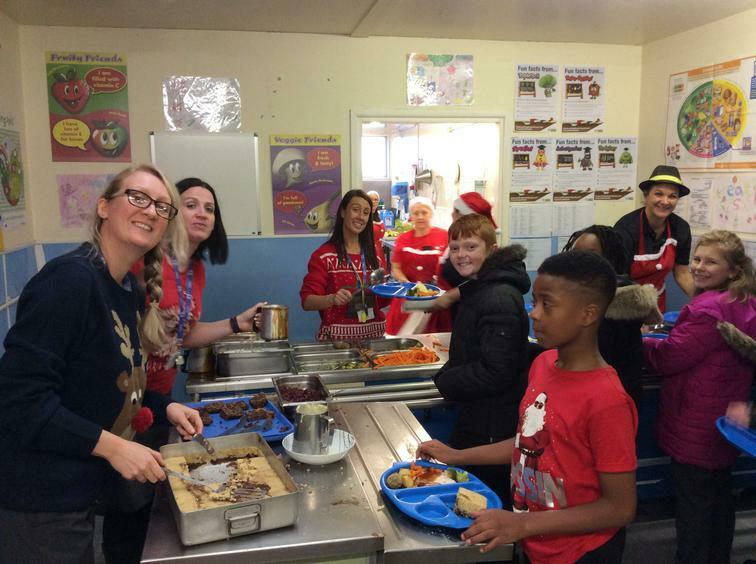 The School Leadership Team helped out on carrots, broccoli, gravy, stuffing, brussel sprouts and pudding duties! A HUGE thank you to our committed team in the kitchen who today, yet again, have done a brilliant job!